Two Hours That Shook The World is a haunting meditation on 9/11. A jagged installation of light, shadows, fabrics and projections surrounds the dancers. A sculptural landscape spotlights fleeing victims and stoic survivors. 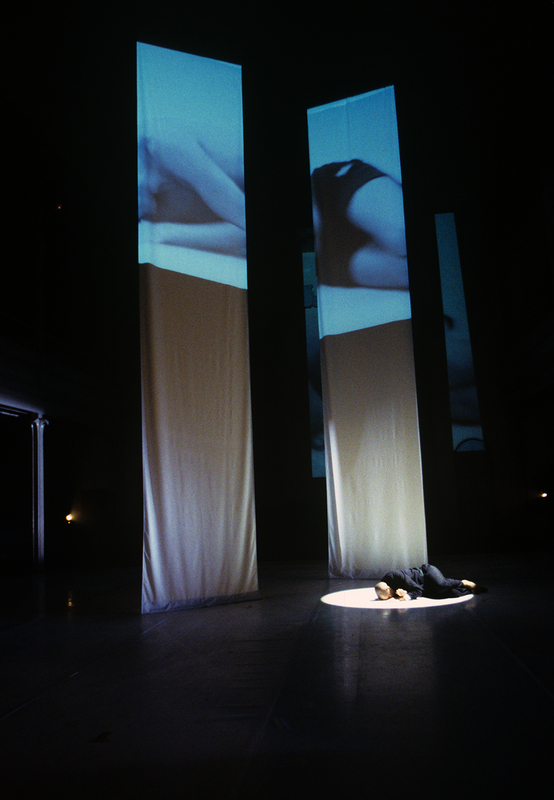 The film is projected into the installation/dance stage to create a dialogue with the dancers and audience. It is at once an incantation to the victims, and an inspirational tribute to the human spirit and the energies that surge from deep within us at moments of unspeakable horror. The program ended with Cortez's stirring remembrance of 9/11, Two Hours That Shook the World (2002). 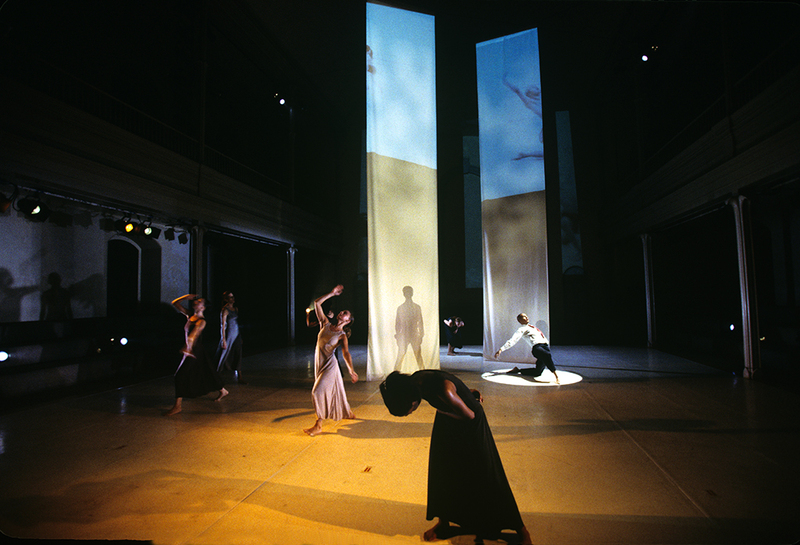 Edward Hillel’s installation of two floor–to–ceiling rectangular reams of white cloth dominated the stage, symbolizing the World Trade Center towers. 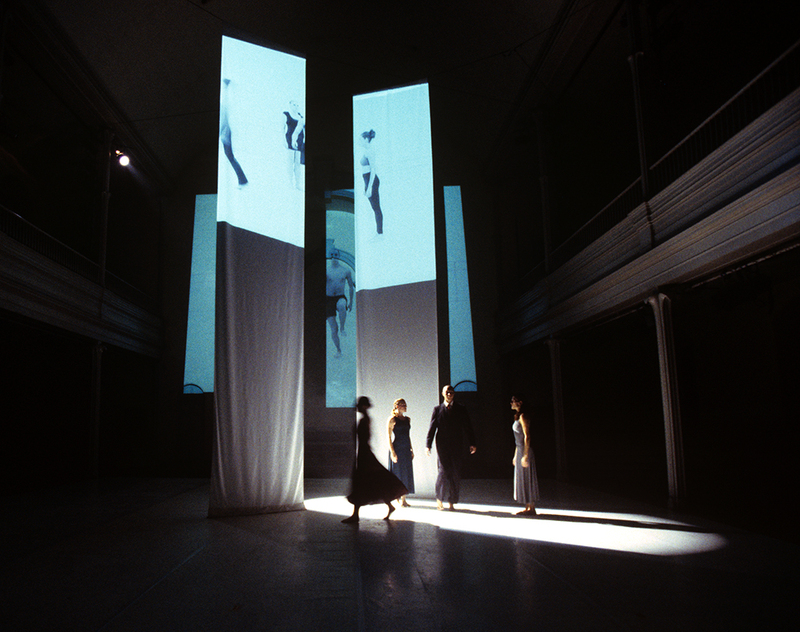 The dancers performed the work live against a video, projected on the cloth, of their performance of the same work in the studio. 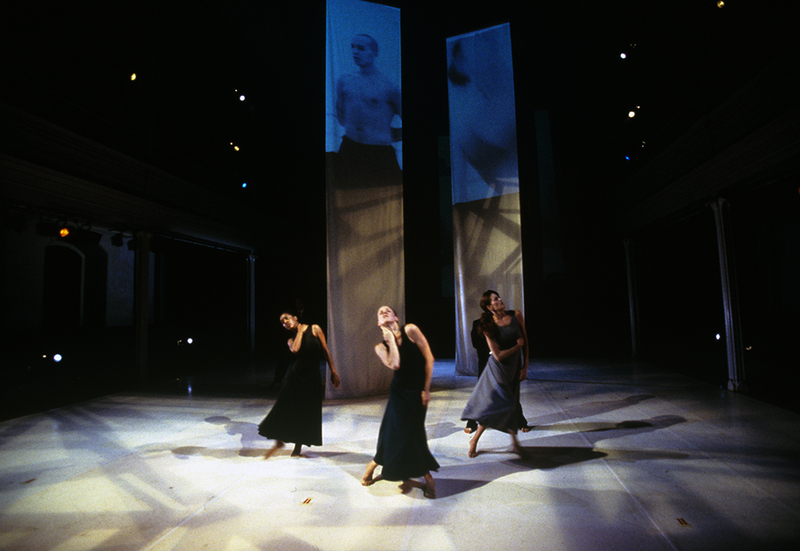 Onstage, the dancers assumed pedestrian roles and were costumed in street clothes, including dancer Christopher Morgan, dressed in a business suit, who ran in slow motion, fleeing the shadow of the ominous towers, his movement unaffected by small groups of dancers sprinting across the stage in banked and panicked bursts. Danced to percussive club music, the choreography ranged from zombie-like staggering to refined chaos, with dancers such as the skillfully smooth Ellen Ressler Hoffman at times appearing suspended in the wake of the other dancers’ frenetic energy. I shot this rehearsal video to evoke the sense of helplessness, disbelief and resolve that overtakes us at times of crisis. It was projected as part of a a multimedia set design for Two Hours That Shook The World, a haunting dance meditation on 9/11. The film has been shown at film/video festivals internationally and the piece has been performed in the USA. If possible, listen to the music loudly — the sound should feel immersive.